When I arrived at around 1:45pm, I did the check-in process and paid my deposit. However, the staff said he cannot give me the key as it had to be 2pm. So I went and got lunch and came back around 2:20pm. However, I went to the same staff and he said he made some mistakes and had to charge my card again. So I gave him my card and he told me to sit nearby and wait. However, 10 minutes later he asked me to wait more and they had a system failure or something. Then I waited another 15 minutes before I could check in and it caused me to be late for an important business meeting that I came all the way to Kuala Lumpur for. The overall experience was fantastic! The room was clean and comfortable. The service was nice and the food was delicious! asked for club access as i had meetings, was agreed upon check in but when i went down they flatly declined. very rude about it too. i was barely there for 24 hours. 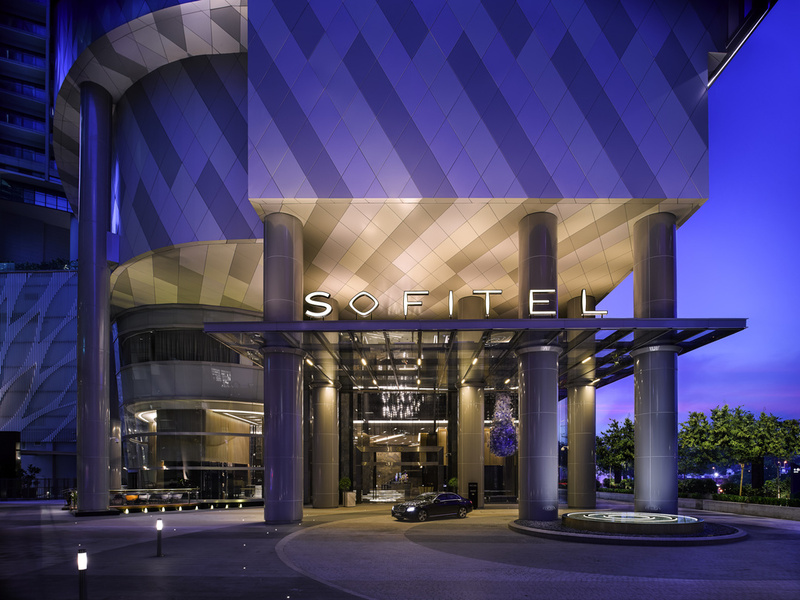 Sofitel Damansara is a well-positioned business hotel but it needs a number of key changes to improve its attraction to business customers. I came with my daughters to attend my niece’s wedding nearby and didn’t want to travel fr Ampang . Love the room.....love the view ...love the toilet too. However I thought I did ask for a bigger or rather king size bed. Anyway the unpleasant part was I had to pay a parking fee of RM43. The concierge didn’t advise me correctly on getting my parking tix to be validated first. And I end up paying rm43. Nevertheless it was a pleasant stay ! Arrived around 1130 and couldn't get a room till around 1.30 pm. Executive Lounge seems lost as to the proper way to manage situation like this, especially its over lunch and some thing should have been offered, other than drinks..? First, there is not a welcome gift prepared before guest check-in. A guest has to ask only provide to the guest !! while your guest is the elite guest. PLEASE MAKE SURE YOUR LIFT ARE WELL MAINTAIN & DONT LET YOUR GUEST TRAPPED !!!! Then the complementary garment service !!! the worst ever service SOFITEL PROVIDED .... PLEASE CHECK WITH YOUR MANAGER NAMED MACELO OR SOMETHING ... HE COULDNT HELP AT ALL !!! The room was amazing and clean. The bed was very comfy and all facilities are working well. However, the friendliness of the associates at the check-in / check-out counter can be improved. Maybe a price list can also be provided in the room just in case the guests would like to purchase anything. Rooms are fantastic but common area maintenance is poor. Air conditioning in the corridors and lift lobby not cold. Lifts are very slow during peak checkout hours. Happy and fulfilling. Satisfied with the people, service and amenities. Perfect way to recharge in a mid week. To be honest, it’s my first time staying at such luxurious hotel with a top of the line presentation and service. Knowing sofitel to be new and a 5-star hotel, it really exceed my expectations. The overall stay was excellent but I do believe that there is room for improvement on your customer service as check in time was delayed & F n B service staff was inattentive towards customer request. It was good. The rooms were well equipped and the room service was excellent.